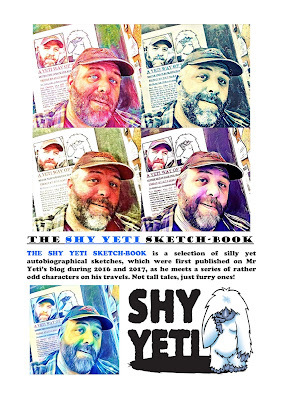 THE SHY YETI SCRIPTS ARE UNLEASHED!! Our first episode, this time, is the one that I was working on when my old laptop "drunk the coffee" - I had edited quite a lot of it so it was a blow to lose all that work; even though I didn't actually lose the recordings. Once I had my new laptop set up the last thing I wanted to do was to go back to the same episode and so I edited a few others first before returning to it... Anyway, it's done now and I'm glad to finally release it! Here we are for episode 186 - Ikk has decided to start a dating agency - but wants some help from the regulars; also seeking advice from the listeners. Martin reads some poetry and there is also audio from mid-1990s SUTTON PARK episodes. Thanks to our special guests - Toppie Smellie and team, Jay The Hauntcub and Harry F - not to mention LSF via archive footage! Our next show, number 187 sees Paul catching up with podcasting royalty with a bumper-length natter about favourite movies. Do join us, won't you?! Please email me at shyyeti@yahoo.co.uk if you have any comments - you can even send me a sound-file and I'll include it. The music is by Shy Yeti and Luca. Sound effects by Paul Chandler. 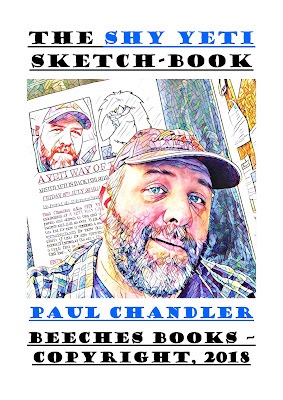 All content of this episode is Copyright Paul Chandler, 2018. Episode 186 was recorded between 13th and 24th June 2018. Our next episode is our longest yet and although it was tempting to release it as a two-parter I didn't really want to do that; it's nice to have a longer episode sometimes and I think it all moves along quite quickly. The addition of a chat done with Toppie recently adds to the length of the show - but ti fits well considering the subject matter of our talk and it breaks up the "top 5" chat too. I hope you enjoy it. Here we are for episode 187 - a bumper-length - longest EVER edition of the show in which Paul talks about favourite films with special guests DJ Starsage and Princess Mykah from The Faraway Nearby. Paul also catches up with Toppie Smellie from The Smellcast and they discuss some of their favourite actors from back in the day! Our next show, number 188 sees Mr Yeti catching up with his niece during her recent visit to the UK in July 2018. Do join us, won't you?! Please email me at shyyeti@yahoo.co.uk if you have any comments - you can even send me a sound-file and I'll include it. The music is by Shy Yeti and Luca. Sound effects by Paul Chandler. 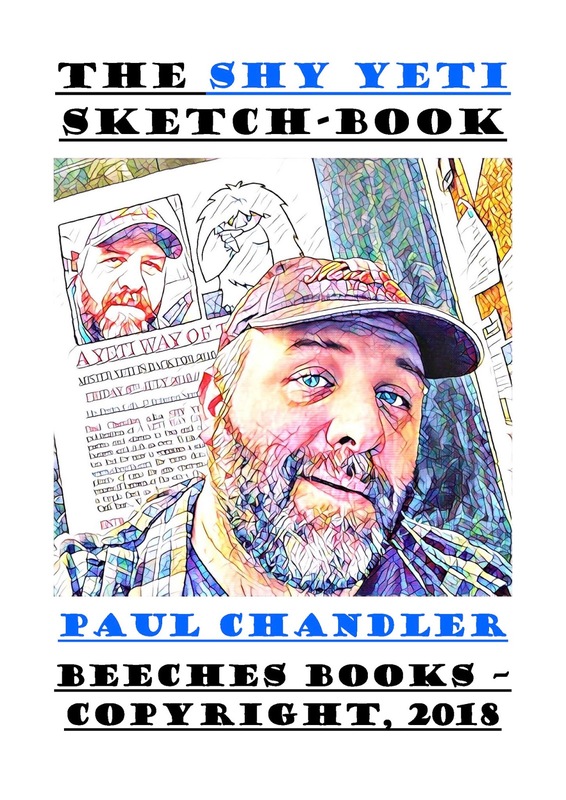 All content of this episode is Copyright Paul Chandler, 2018. Episode 187 was recorded on the 4th of August 2018. I also asked what types of films the guests try to avoid (I said Westerns) - which film they never want to have to see again (I said Mission Impossible - 2) and which film they think is over-rated (I said Star Wars, but only because I'm just a bit sick of still hearing about it all the time after 40 plus years.) You'll have to listen to the show to hear how DJ and Princess Mykah replied. Before I get into an argument with my vague Star Wars dissing - here are some more photos from my recent trip to Scotland, as featured in episode 185. Some screen-shots from some recent new additions to my SUTTON PARK video collection on my MRSHYYETI Youtube account - the first one comes from late 1993 and the others from summer 1995. Next time I'll be getting ready to share with you a script that I've written for the podcast; this time I'm going to let you read it in advance of it appearing on the podcast - it's currently being recorded. I'll also be getting ready for my trip to Vienna - which is what I'll be telling you about it two posts time! August heads on and the following episodes are those that we'll be presenting on THE SHY LIFE PODCAST over the next couple of months... We're also recording new shows along the way and so this list tends to change every time I post here. Big event episodes coming up include our tribute to the Pride48 New Orleans event in August and our very own episode 200 which should be coming up by mid-October; we'll have a new theme tune for you then too! Anyway, here is the current schedule! 188. 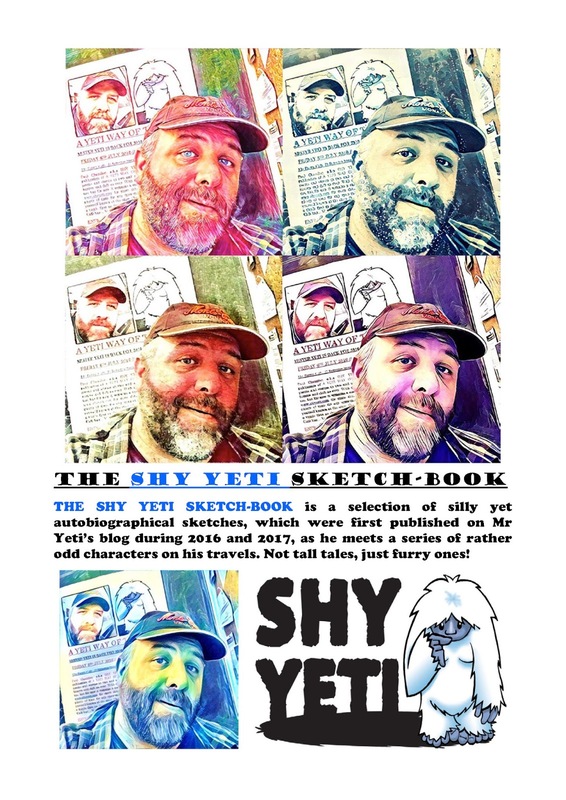 The Yeti And The Narcissist! We're live and on the air for our August show - with lots of extra material for the podcast version of the episode! 190. Shy Yeti Salutes Pride48! In which Shy Yeti and the gang salute Pride48 with help from Toppie Smellie! 192. Look Into My Eyes... On The Radio!?! Find out what Mr Yeti got up to whilst in Marseille back in late May 2018. We're live and on the air for our September show - with lots of extra material for the podcast version of the episode! 198. ...And Suddenly It Was 1988! Paul digs through the archives to find a few interesting conversations that never made it onto shows. This episode may be postponed due to recent technical difficulties and replaced with another episode.